Jan-04-14 waustad: Thanks! I was considering requesting this. Jan-04-14 waustad: It is delightful watching JL Hammer and Nils Grandelius get stronger. 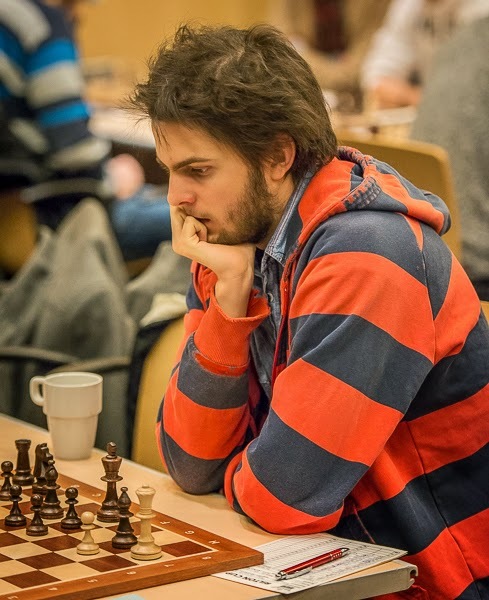 Jan-05-14 14DogKnight: Seems Hammer is benefiting from being Carlsen's second. Jan-06-14 Skakalec: Can't wait til the 11th. Tata steel, Aussy Open and handball WM! Jan-06-14 parisattack: Fun tournament, lots of enjoyable games. The non-Elite tournaments seem to bring out many interesting opening ideas. Jan-07-14 mrandersson: @parisattack.I agree with your comment maybe the top elite players feel computer ideas in the openings is more of safe bet. Most top gms must use komodo these days or a top clone. Jan-07-14 parisattack: <mranderson> I had heard that many of the top players have engines running 24 x 7 with their team looking for new moves, busts and such. Do not know as a fact but I would not doubt it. I just gave up email chess because of the predominance of obvious computer play. If I want to play an engine I can buy one for $50 or so, don't need another person to run the other side of it. perfidious: <parisattack>: Not much point in playing email any more, I agree. If I ever play chess again, it will be OTB. Jan-08-14 mrandersson: Shame but a sad fact really. I think Correspondence Chess players from the 70s/90s must have put really ideas and thoughts in to there play and most of there games even hold up today. Im not saying players now dont of course but with the help of a i7 and a top engine must take lots of the work off.